and the Castle Hills Education Foundation. 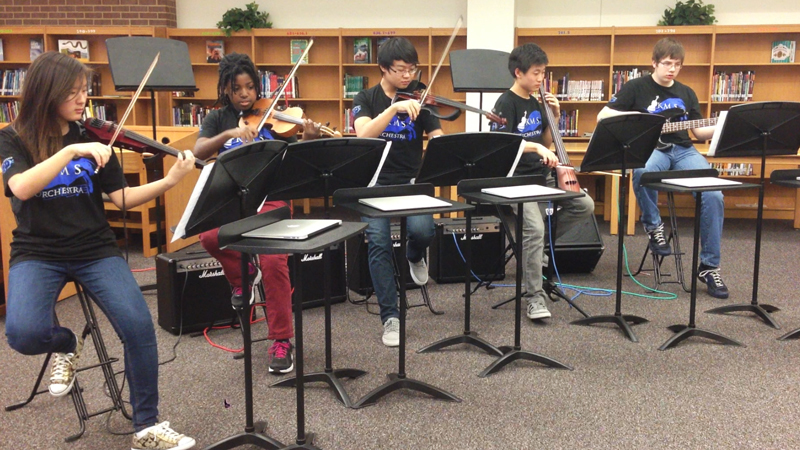 Orchestra:X implements state of the art technology to interface electric instruments with the 1:X iPads and MacBooks! Currently our electric arsenal includes a full set of the string family – violin, viola, cello and bass!